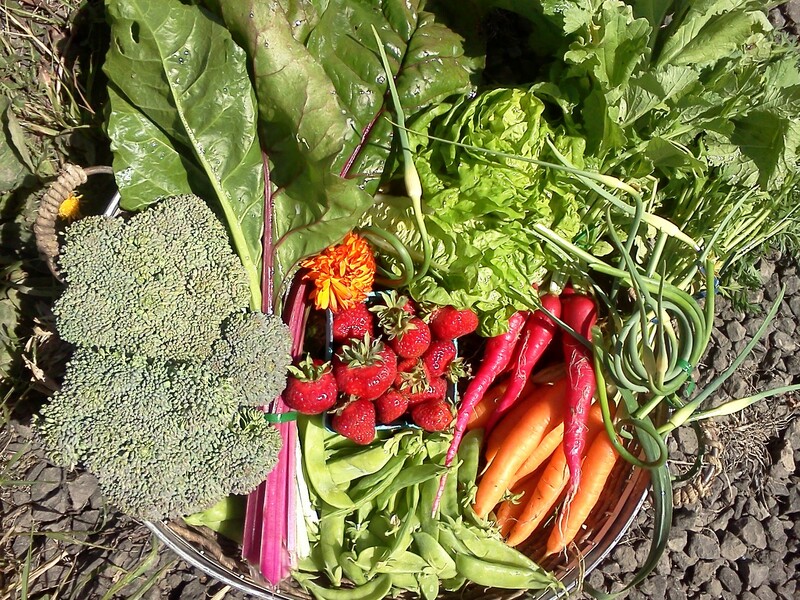 This Weeks Share: Kale or Chard, Head Lettuce, Beets or Carrots, Spring Peas, one Pint of Strawberries, A Brassica, A Radish bunch, and Green Garlic. Big Green: As we like to say around here, instead of just lettuce, we try and offer you a weekly big green or ‘other’ green to be braised, sautee’d or otherwise enjoyed. 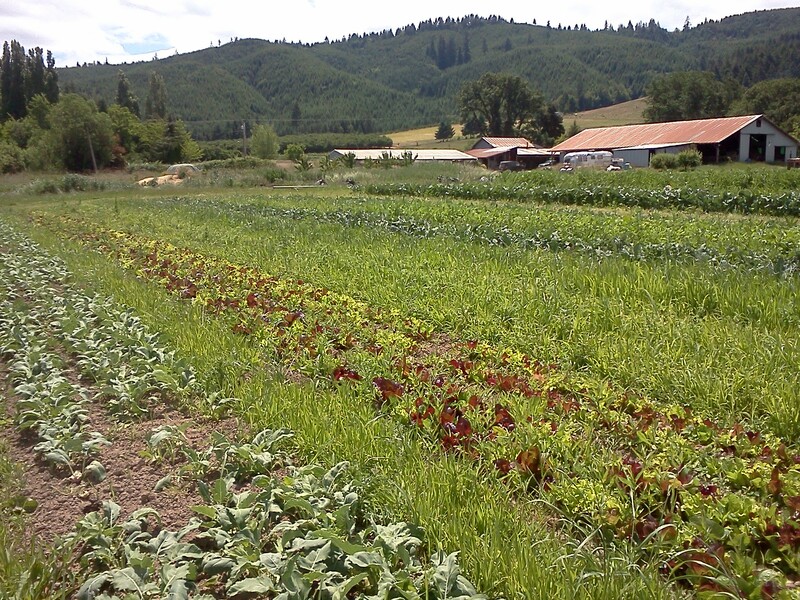 We are picking the first bunches of our Spring Kale and Swiss Chard. Lovely Leaves of tastiness, which can be enjoyed raw, but cook up remarkably well. The stems take longer to cook, so cut them off and up and add to your cooking first. When they are tender, follow with the leaves. 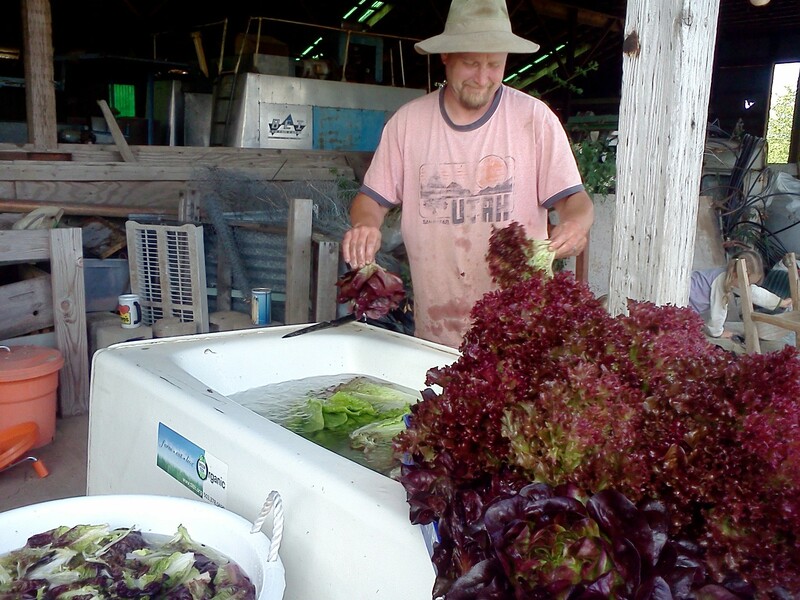 Head Lettuce: Many different heads to choose from including Romaine-types, Frilly-curly leaf, and Trout-back or Deer tongue speckled as well. You may even find a bib or Boston-head in the bunch. Beet or Carrots: The choice arrives this week again. Will it be sweet little carrots or tender beets with yummy greens? Be sure to eat up the greens if you choose beets. 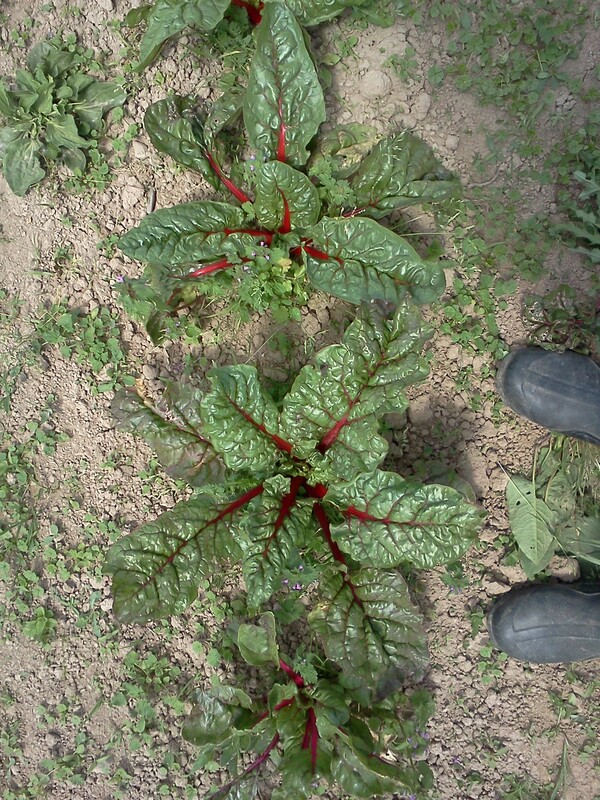 They will saute’ up nicely with your other chard or kale this week. 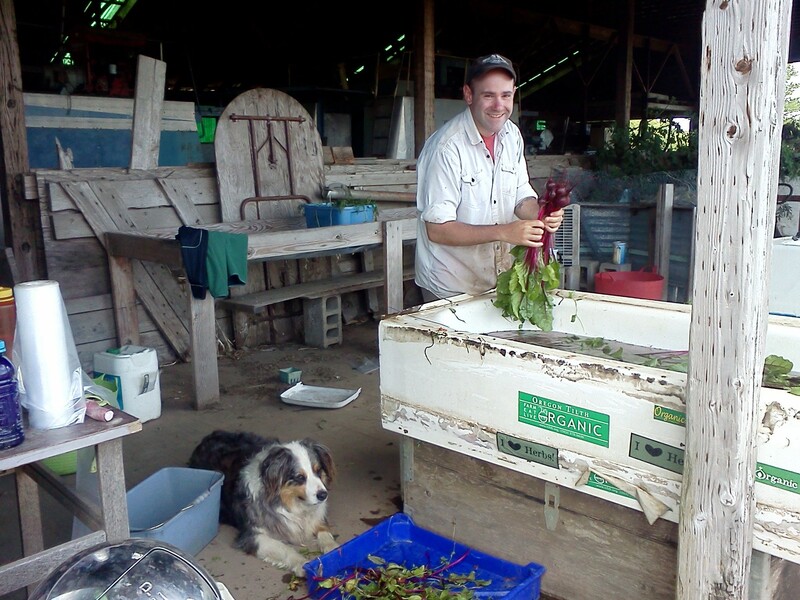 Radish: We are harvesting more radish this week for the share’s. We will hope to have both the French Breakfast and the Ostergruss for you to choose from. The former are sweet, mild and tender and I have yet to find a hot one. The latter look like big fat red carrots and are hot! They pack a punch and made my eyes water trying to finish one for breakfast. For that reason they will lend themselves very well to your next stir-fry, or tasty saute’. I’ll stick to the French Breakfast on my morning toast. Spring Peas: We’ve been picking our Oregon Giant peas for some of you this week. Other’s of you later in the week will likely get our sugar snap peas. Oregon Giant is a fabulous big-pod snow-pea with lovely sweet crisp flavor. The pod is wonderful to eat so they are great chopped and added to dishes. The tender peas inside are delicious as well. The sugar snap peas are just starting to come on and the name says it all. They are another entire pod enjoyable Spring pea that we like to grow. 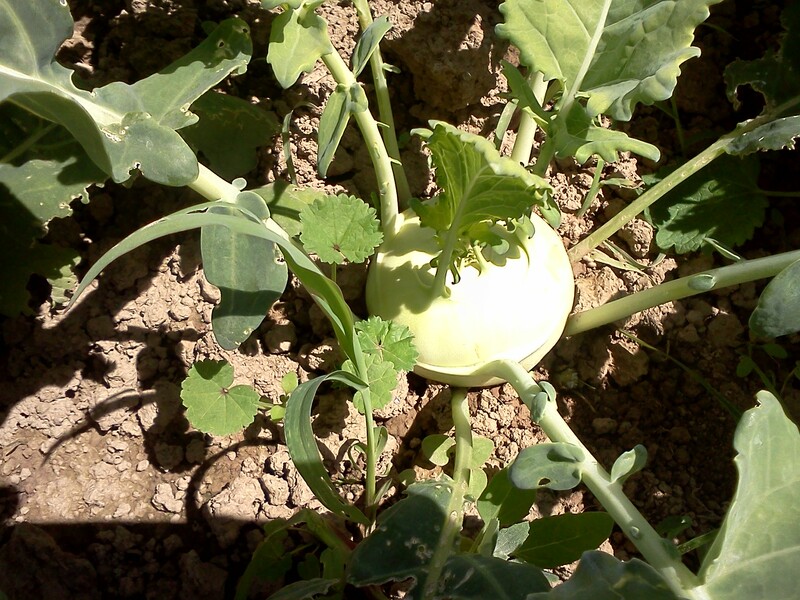 A Brassica: It is time to familiarize everyone with this term Brassica, meaning from the family Brassicaceae or commonly called the cruciferous vegetables or otherwise broadly known as the mustards. We use the term often, and are generally referring to cabbage, kohlrabi, broccoli, cauliflower, Brussels sprouts or turnips. 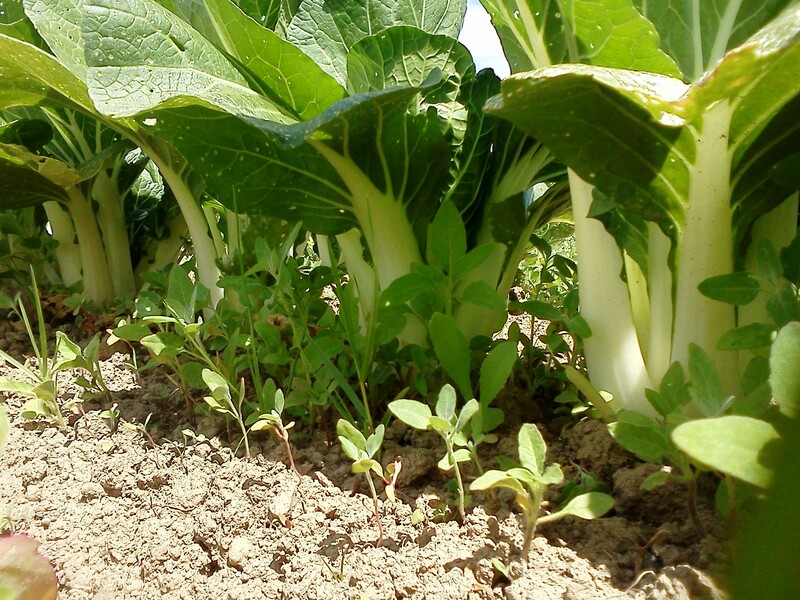 This week we will have new Spring broccoli or cabbage for everyone’s half-share. 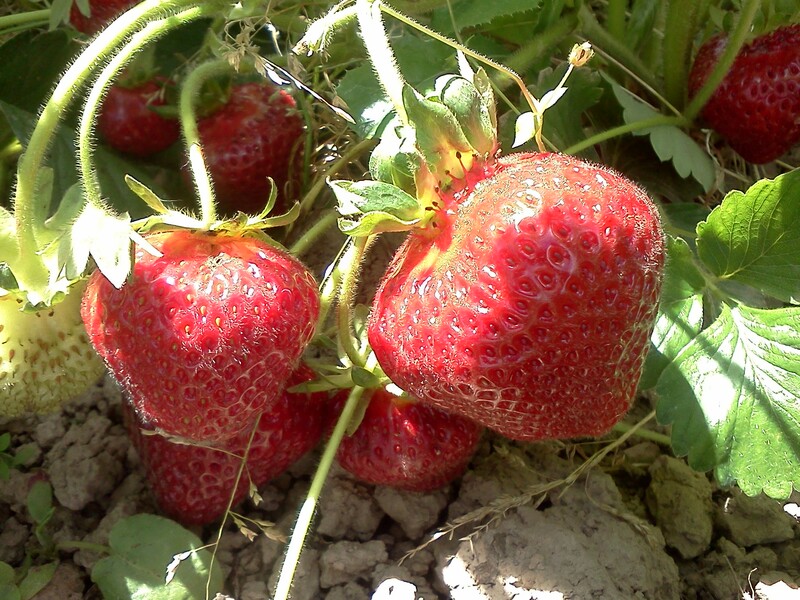 Strawberries: Once again we are bringing a pint of our delicious organic strawberries to each half-share. Hopefully you don’t have any trouble finding uses for these. Green Garlic: Another week of our favorite Allium for you. Some of you will get the scapes and some of you will get more green bulb. The scapes can be grilled or are great in a stir-fry, or chopped up for a garnish much like a green onion. If you still haven’t used last weeks chop them up together and add them to a stick of butter for your on the go loaf of garlic bread. The green makes it pretty and the flavor will be mild. Green-garlic butter lasts a few weeks in the fridge so if you plan to use it later than that, you should freeze it. BERRY-SHARE: Berry Share Members will be in Week 2 of our crazy berry season, and enjoying more of our smile producing strawberries. 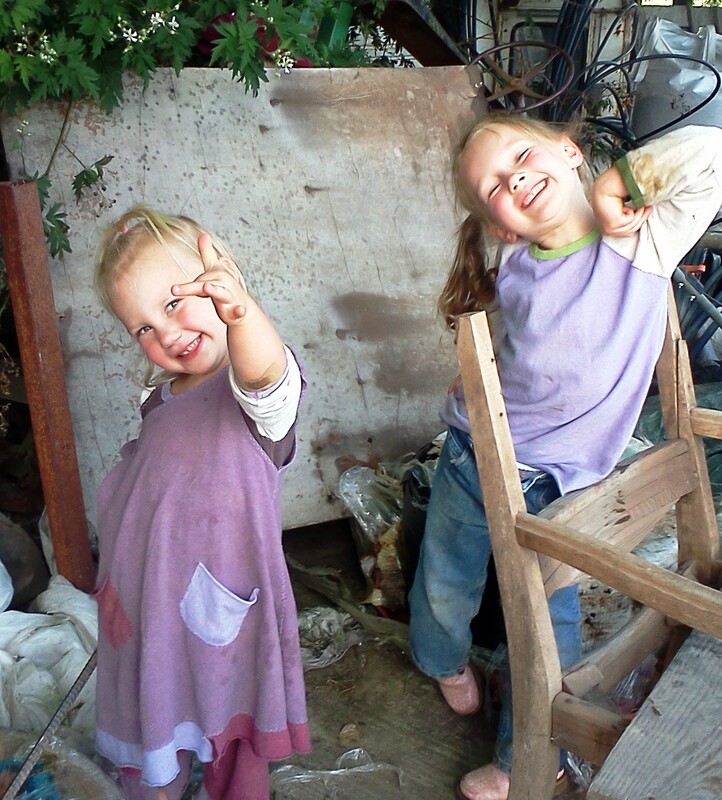 Two pints! Other berries still appear to be weeks out but we have an early black-berry that just may surprise us. It will be interesting to see how our strawberries hold and if we will have more next week. To soon to say now. 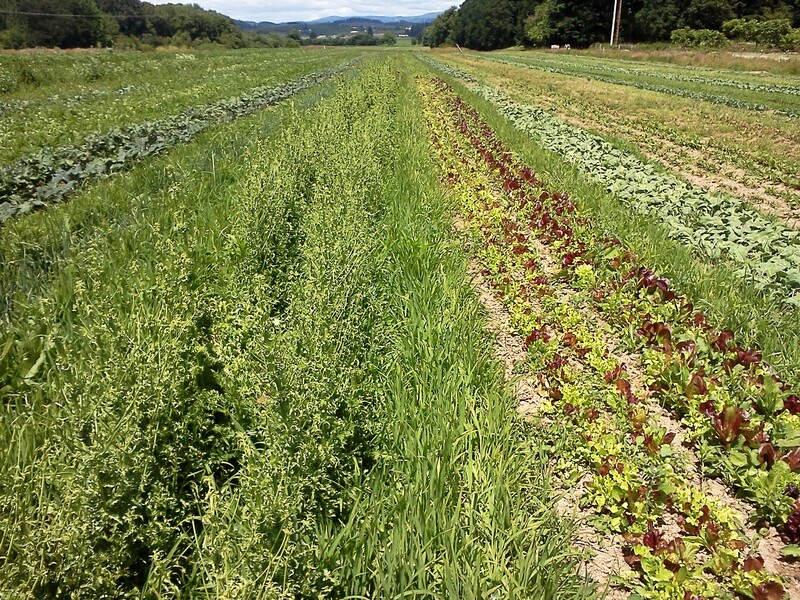 FARM NEWS: The whole field is thriving and a buzz! It is wonderful to see the bounty coming on as it seems we have had the perfect amounts of rain and sunshine to produce good looking stuff in the field. For now anyway. Things have been running fairly smoothly with delivery and getting our fine tasting foods to you. The expected hiccups of the first week are hopefully gone and ne’er to be again. I am feeling like this week is off to a fabulous and much more prepared start! We seem to have some great help in place and things are flowing.